So this was my view yesterday. Looks idyllic doesn't it? I'm thinking 25 degrees, a cocktail beach bar at the other end, sun shining down on you..... Not so much. This is in fact Lytham St Annes in Lancashire, England where we took my dog Simba for a walk yesterday. 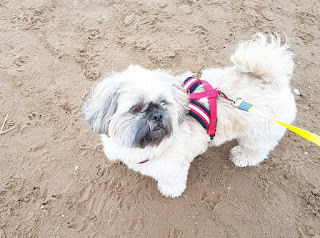 Here is the boy in question, absolutely loving his first time on the beach (although he wasn't too sure of the sea, preferably to keep his little paws dry). 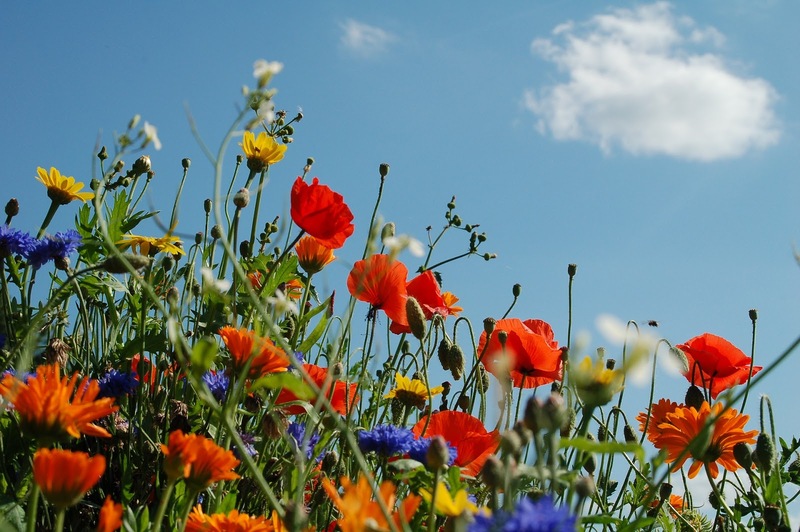 Whilst today we are unfortunately back in snow covered scenes, yesterday made me really start to think about the summer ahead. We are lucky at home to have a large patio area with beautiful views over the town to the countryside in the distance. 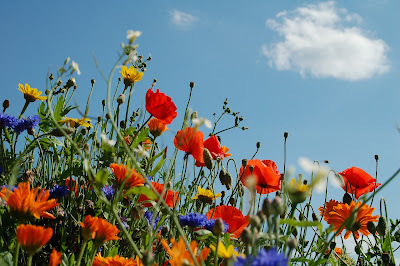 It is a perfect sun trap in the summer months and every year in the Spring we take advantage of great patio and garden furniture deals from Groupon, to enhance the area and maximize the space potential. For summer evenings with a glass of wine and a beautiful view, we have a wrought iron table and chairs set on the balcony and for sun bathing during the day (when possible in the British weather), we have loungers and an ice cooler box for refreshing summer beverages. I cannot wait to take Simba on more walks on the beach in the summer. 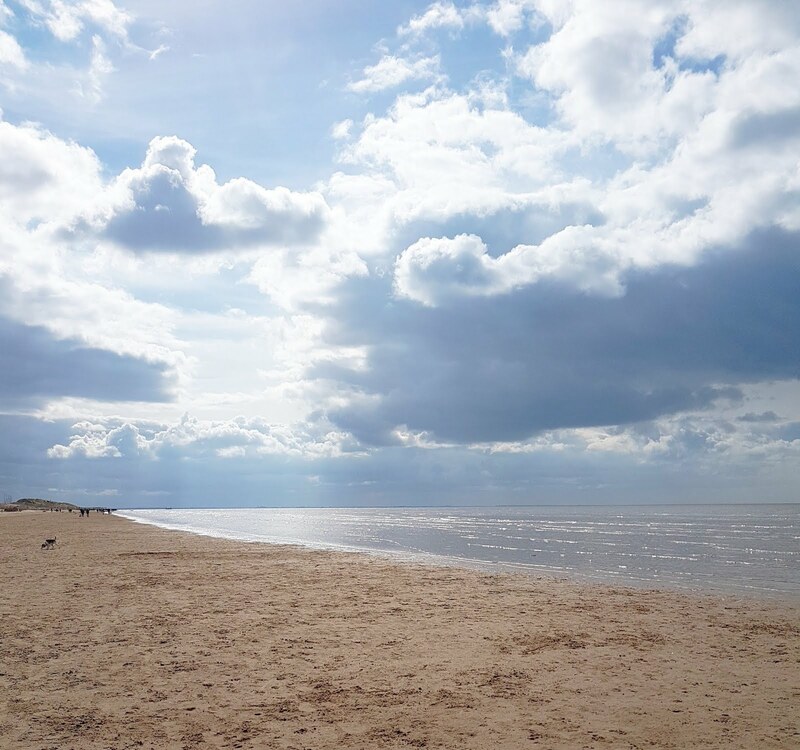 There are so many beautiful beaches in the UK that sometimes we do not truly appreciate until the warmer weather appears and on a sunny day, you really do feel like you could be in the Riviera. One things that us Brits tend to forget during the summer is that the sun in England can burn you just as easily as when you are abroad. Because we get so little really sunny days in the UK, we forget that you need to use protection against the sun here too. All of my really bad sunburn incidents have happened whilst on a day out with no sunscreen. I remember a particular day out at Oulton Park racing track when we presumed that the weather was going to be raining, and we ended up in blazing sunshine and for me, blisters on my shoulders that lasted for a week! Prior preparation is key folks! 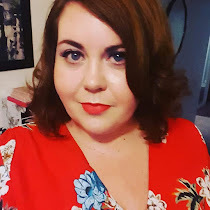 I am lucky enough to be taking a trip abroad this summer and will be sharing with you my top tips for summer holiday preparation when you are plus size. Check back in a few days for my tips!